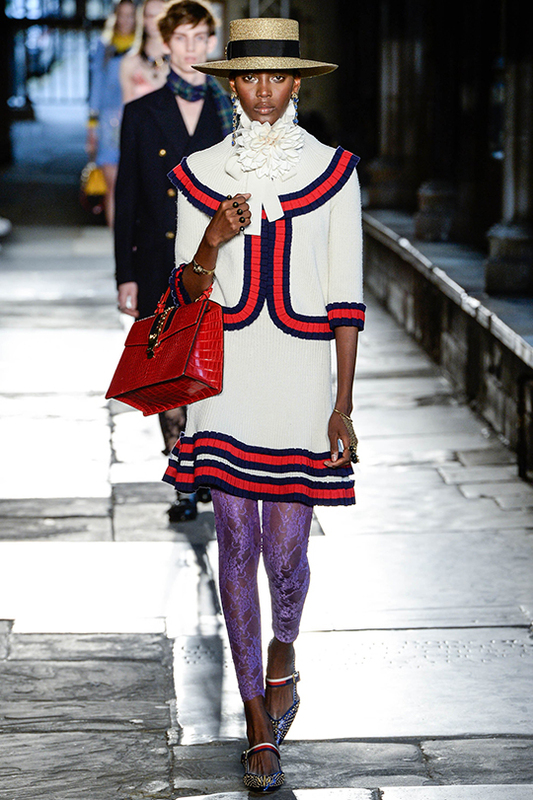 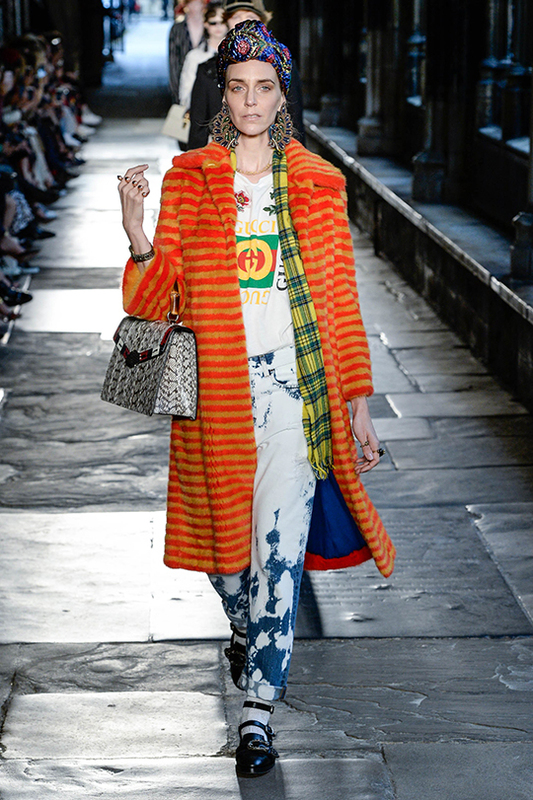 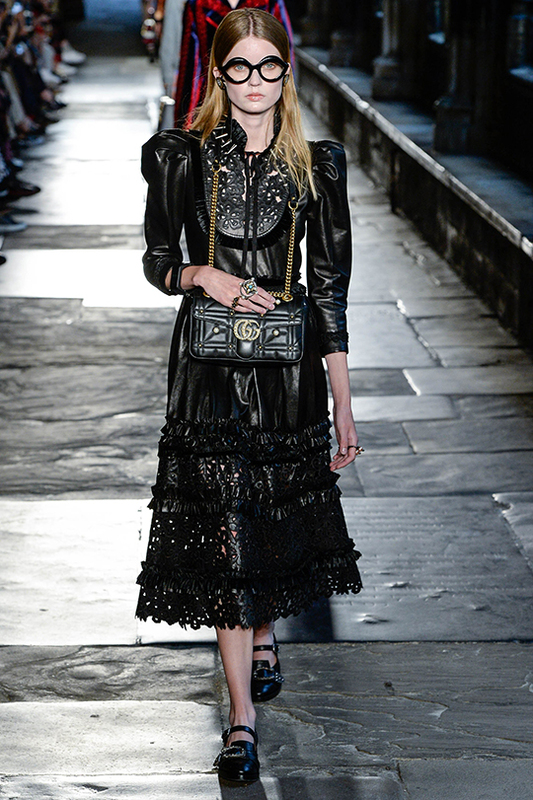 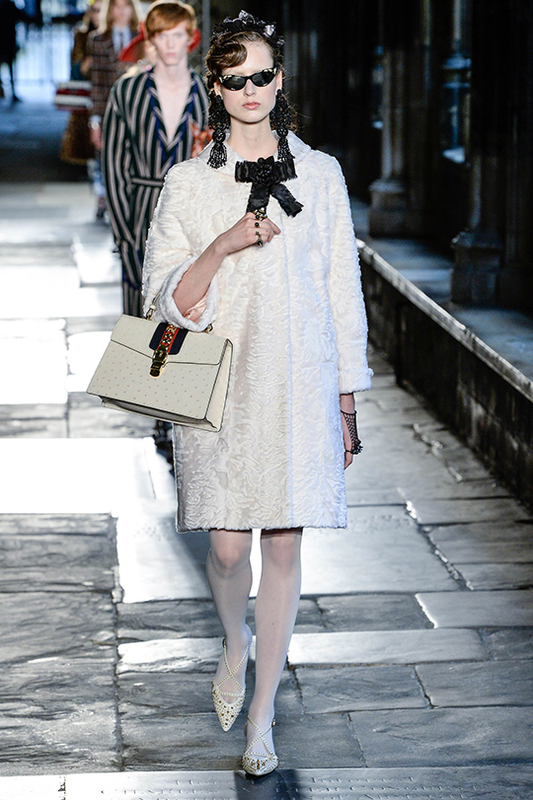 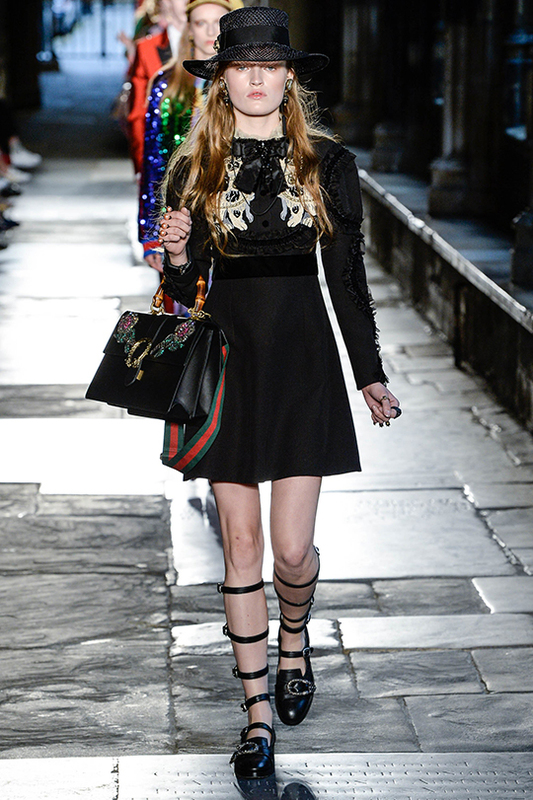 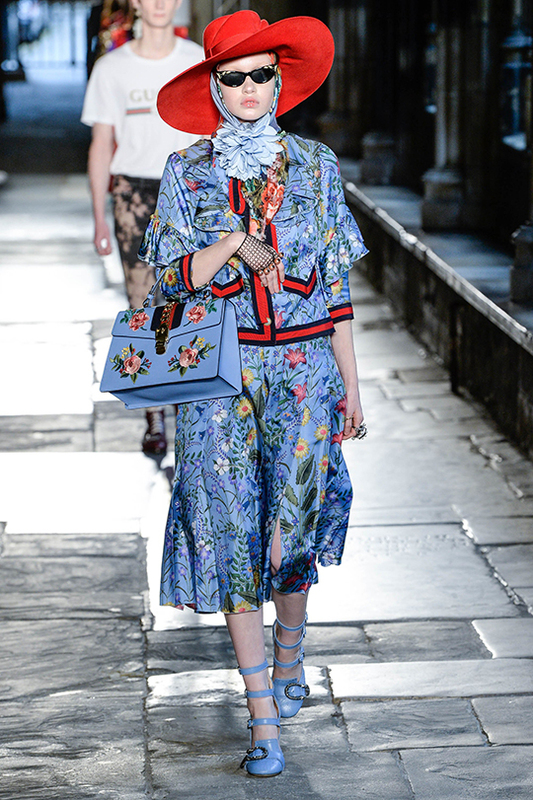 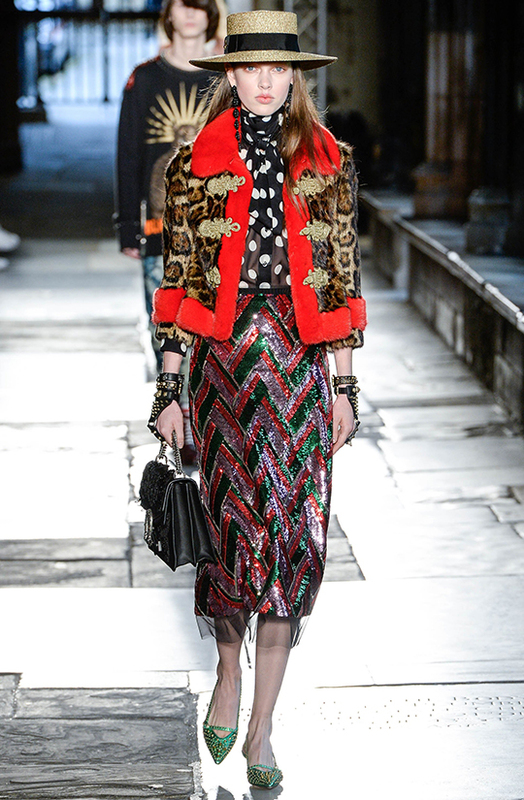 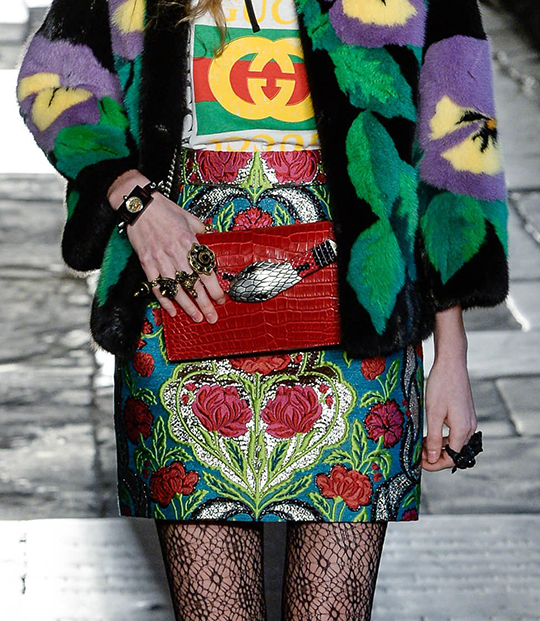 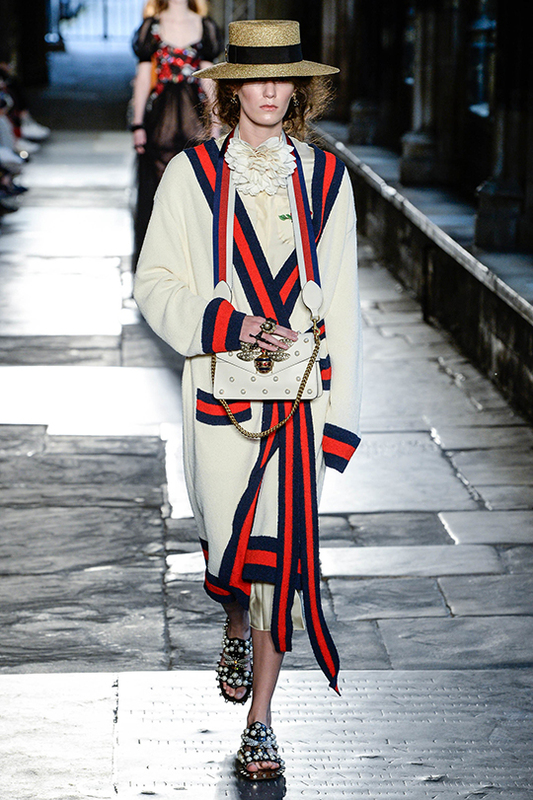 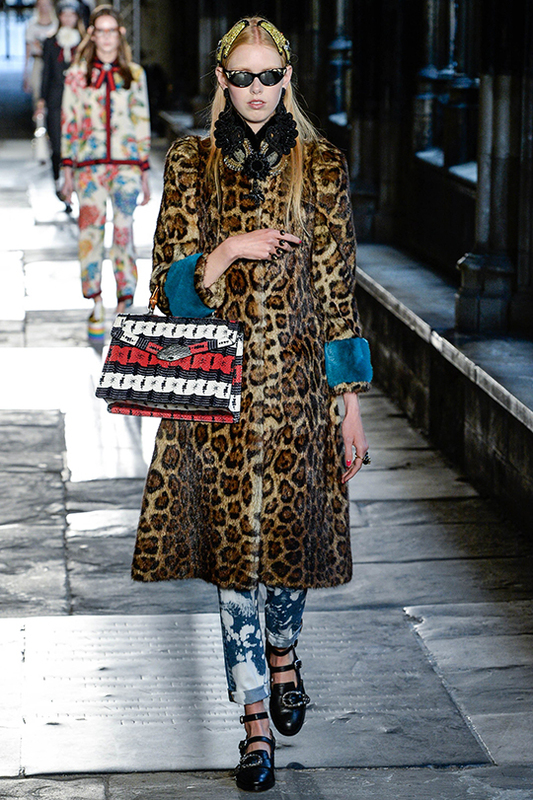 Last week, the creative director of Gucci, Alessandro Michele, presented the brand's Resort '17 collection at Westminster Abbey. 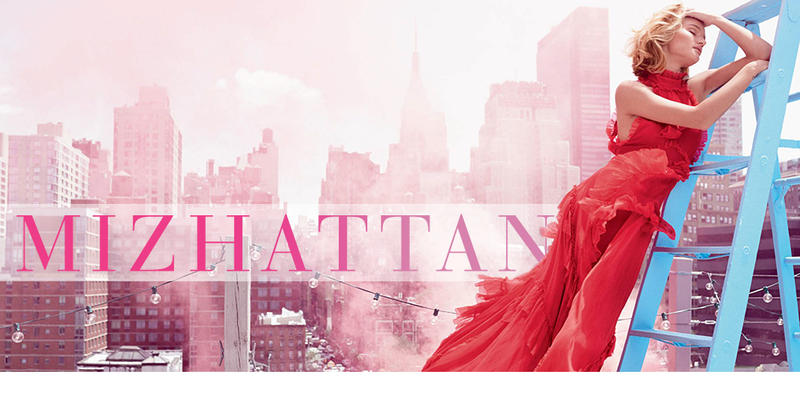 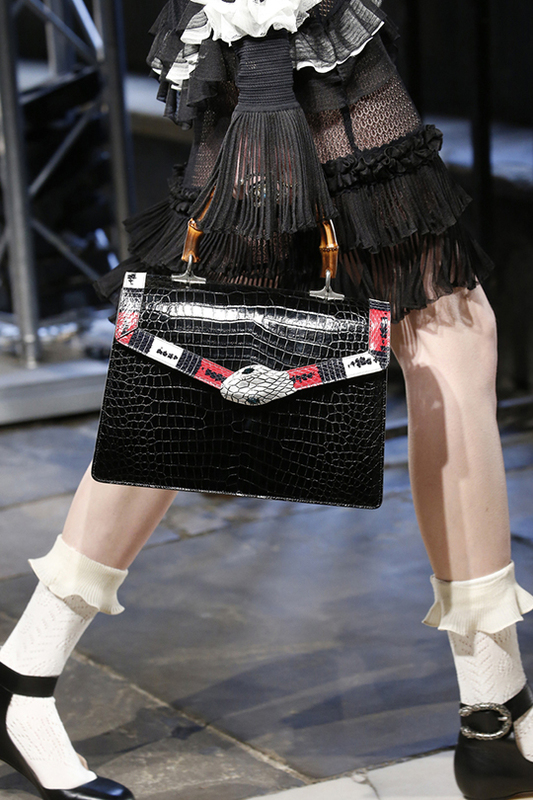 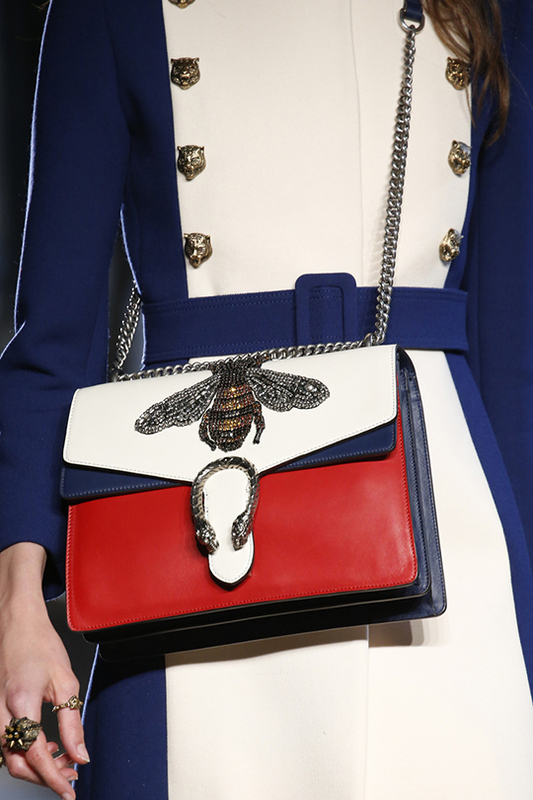 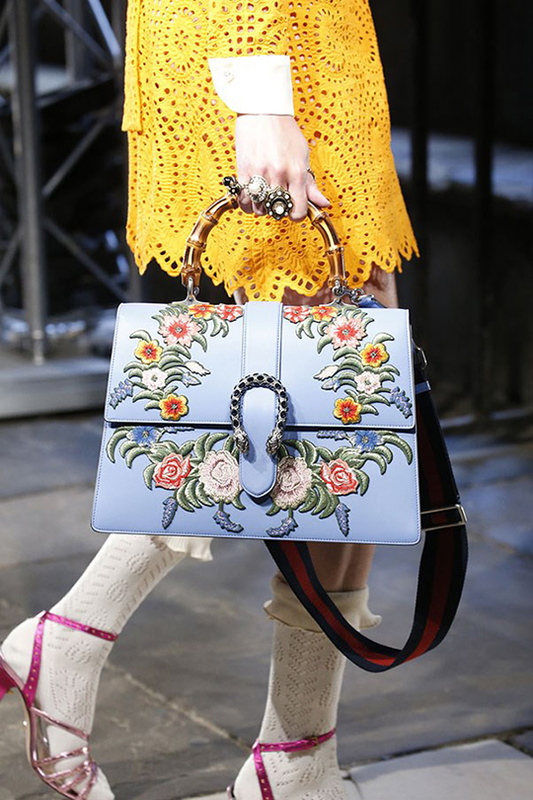 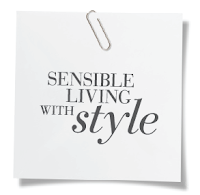 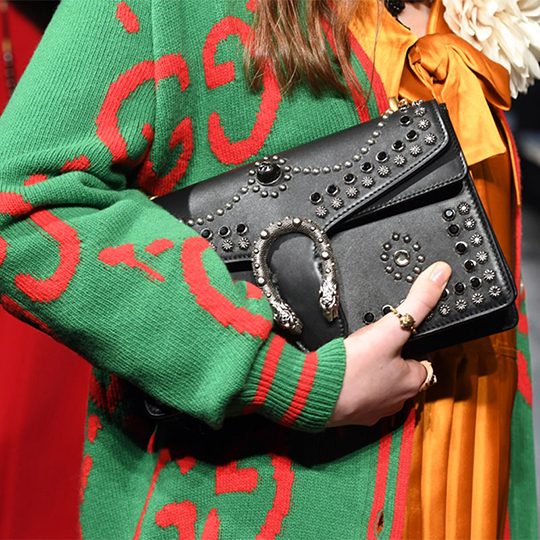 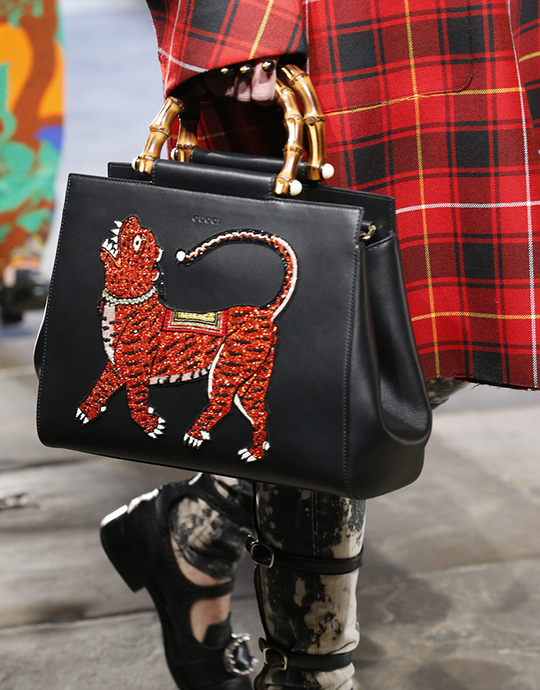 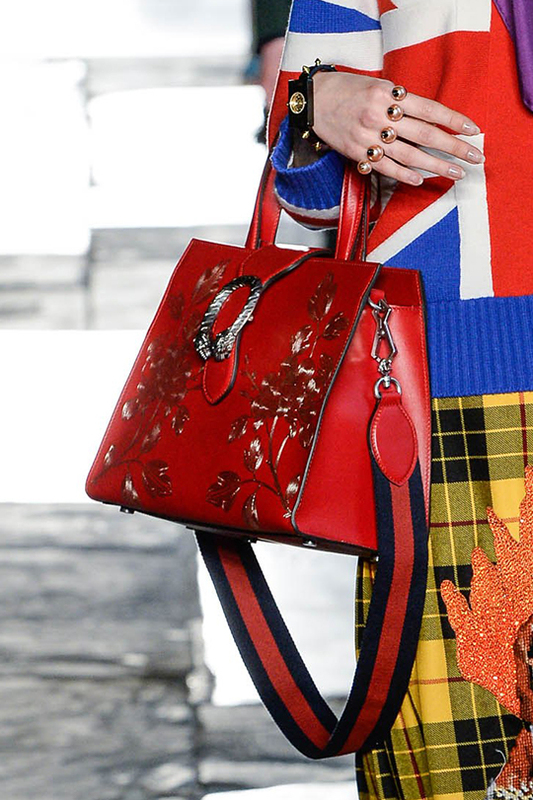 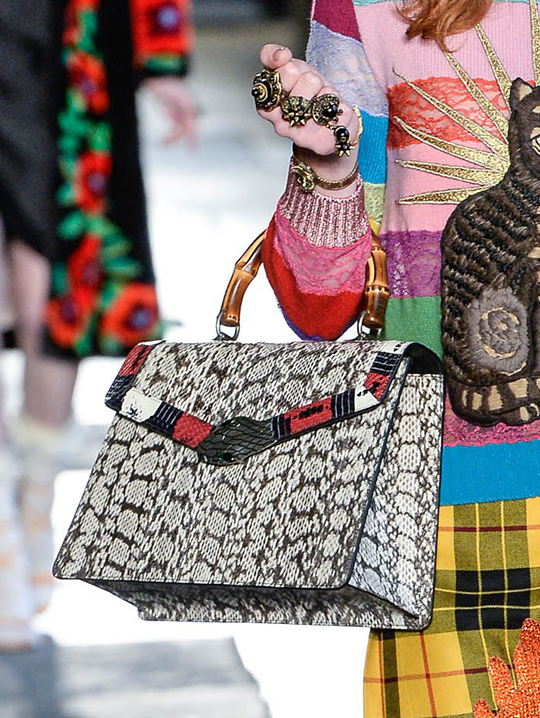 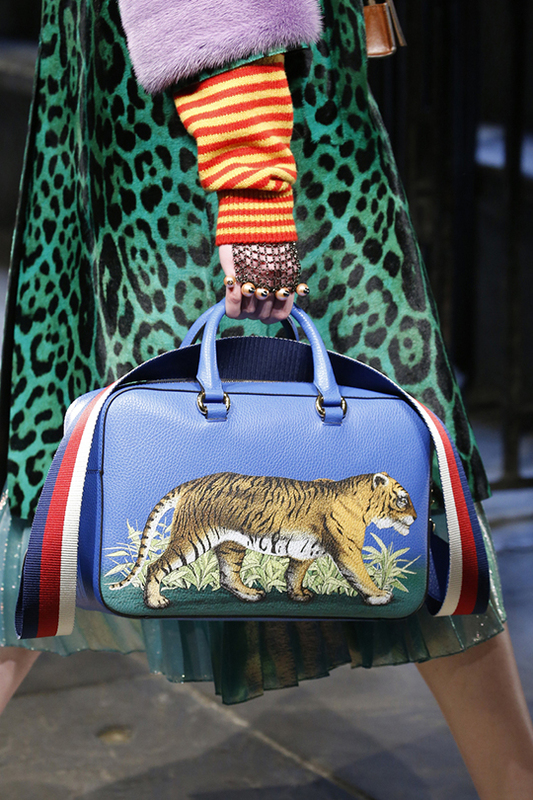 And while fashion critics praised the overall look of the show (Italian eccentricity meets punk and the Victorian era), I thought the latest handbags deserved more attention than they received. 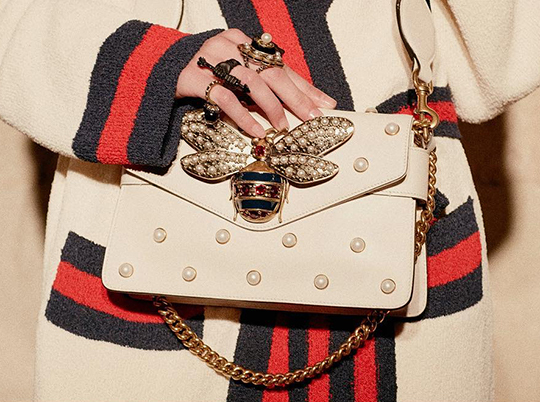 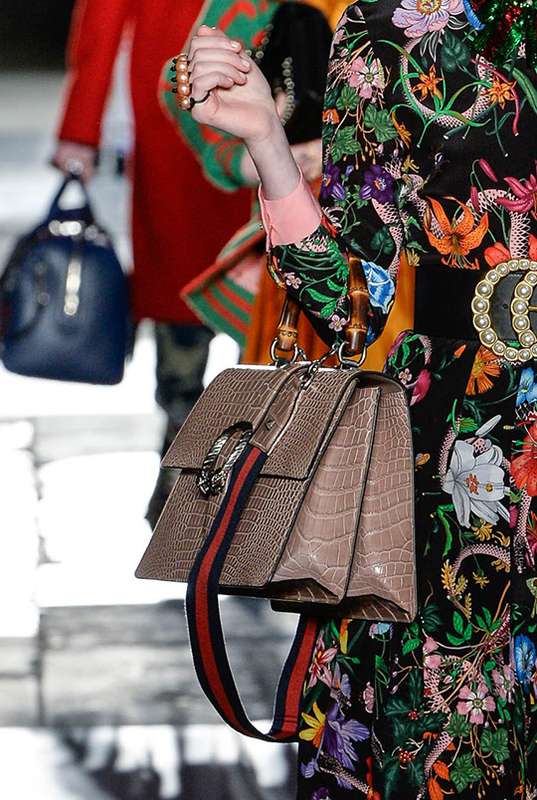 Gucci's new iconics like the Sylvie top handle and Dionysus were updated luxuriously with exotic skins and embellishments for the resort season. 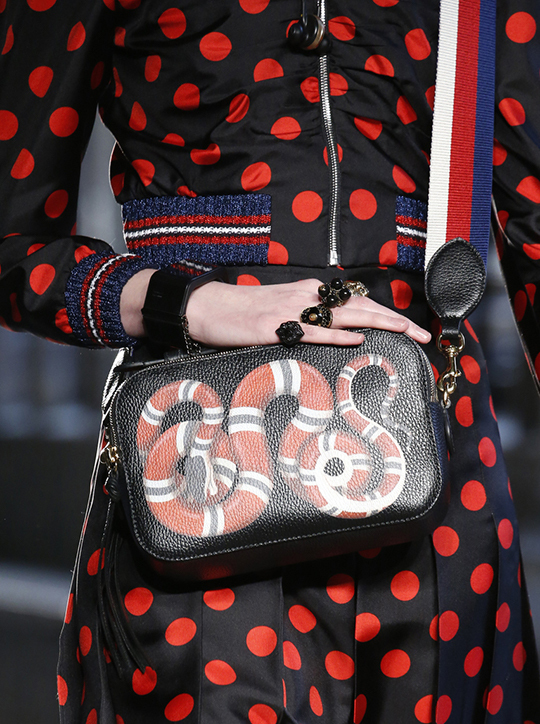 In addition, there were new designs like the snake-detailed top handle that were introduced during the show. 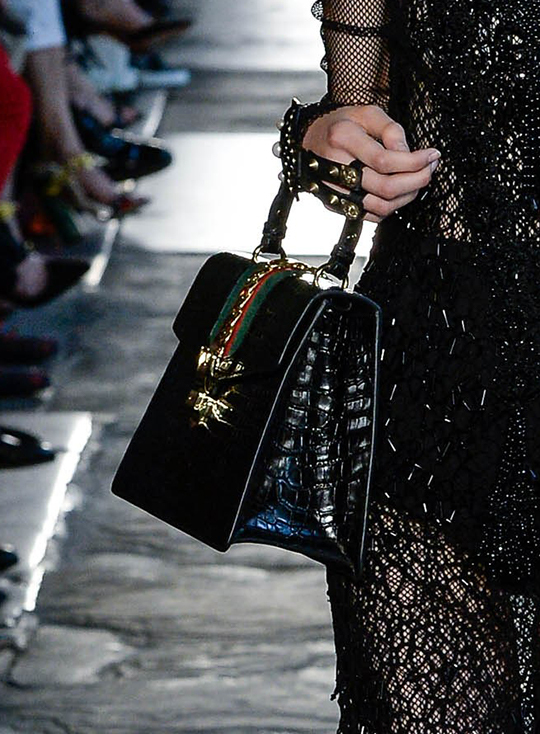 I compiled some close-up images for you to pore over, so have a look after the break.